The biennial SASBi and SAGS congresses are the premier national scientific meetings on bioinformatics and genetics in South Africa. In total, 187 participats delivered 40 oral presentations and 65 posters in SASBi-SAGS-2016. This congress provided an exciting opportunity to learn about cutting-edge research in both disciplines, and to network with members of the two societies and with leading international scientists. 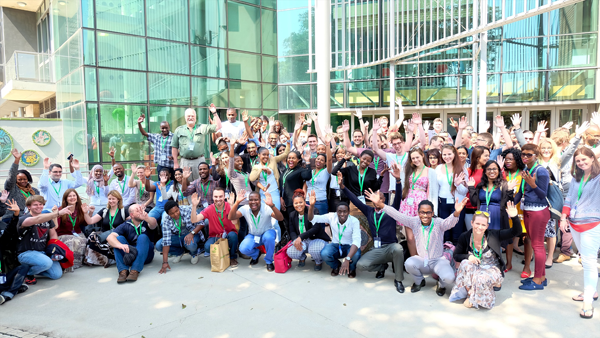 We have been delighted to host the 4th Joint Congress of the South African Society for Bioinformatics (SASBi) and the South African Genetics Society (SAGS), which was held from 20 to 23 September 2016 at the Nelson R Mandela School of Medicine, University of KwaZulu-Natal (UKZN), Durban. The theme of the congress was 'Bridging the gap: Decoding genetics for integration and application' with an emphasis on the integration of diverse biological data to understand the function and evolution of biological systems from single gene to whole-genome levels towards an application across diverse fields. We are at the doorway to a promising future for bioinformatics and genomics research in South Africa. Both fields are accelerating and gaining momentum due to the flood of biological data being produced and exciting breakthroughs are awaiting us at the level of genes, genomes, and beyond. Stephen J. O'Brien Theodosius Dobzhansky Center for Genome Bioinformatics, Russia & National Institutes of Health (NIH), U.S.A.
Jason Williams	Cold Spring Harbor Laboratory, U.S.A. In the 4th Joint Congress. The South African Society for Bioinformatics (SASBi) and the South African Genetics Society (SAGS) also elect their new presidents. Prof. Tulio de Oliveira Nelson R Mandela School of Medicine, UKZN was elected the president of SASBi (2016-2018) and Dr. Sanushka Naidoo was elected the new president of SAGS (2016-2018). Interestingly, Both Tulio and Sanushka were colleagues during their BSc Honours at UKZN in 1998. They look forward to continue the successful collaboration of SASBi and SAGS.